Thursday, August 9 is Family Roller Night! Family members of all ages can enjoy an evening of skating from 6:30–8:30 p.m. at the gorgeous Lombard Roller Rink in Lombard. This fun event is brought to you by the Elmhurst History Museum in association with its Chicago Rink Rats: The Golden Age of Roller Skating exhibit. At Elmhurst Toyota, we love a fun, family-friendly activity that gets everybody up off the couch. We think you’re going to enjoy Family Roller Night. The first roller rink in the country opened to the public way back in the summer of 1866 in Newport, Rhode Island. Skating’s popularity reached it’s peak in the U.S. in 1950 when 5 million people regularly visited the approximately 5,000 rinks in the country. During the height of skating’s popularity, which lasted until the 1970s, Chicago was the epicenter of skating culture. The trendiest new moves originated right here in Chicagoland, including the popular JB (James Brown) style of skating. Family Roller Night is a chance for you to relive skating’s heyday and hear the whoosh of ball bearing skates against a wooden rink floor again. Make your reservations today for Family Roller Night so you don’t miss out on all the fun. If you’d like to learn more about roller skating’s local history, see Chicago Rink Rats: The Golden Age of Roller Skating at the Elmhurst History Museum. The exhibit features skating costumes, memorabilia, posters, medals and more. The museum has even recreated The Elm, one of the most popular Chicagoland roller rinks. You can see the exhibit through November 4. Thursday, August 9, 2018, 6:30-8:30 p.m.
$4 for Elmhurst Heritage Foundation members, $5 for non-members. Roller skate rentals are $4. Make your reservations now at Eventbrite by clicking bit.ly/2LFPEVN. 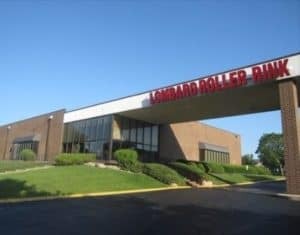 Visit the Lombard Roller Rink website and read rink rules at www.lombardrollerrink.com. For additional information, call the Elmhurst History Museum at 630-833-1457 or visit www.elmhursthistory.org.